This past Saturday, I got to dust off the cobwebs and begin my 2012 racing season. 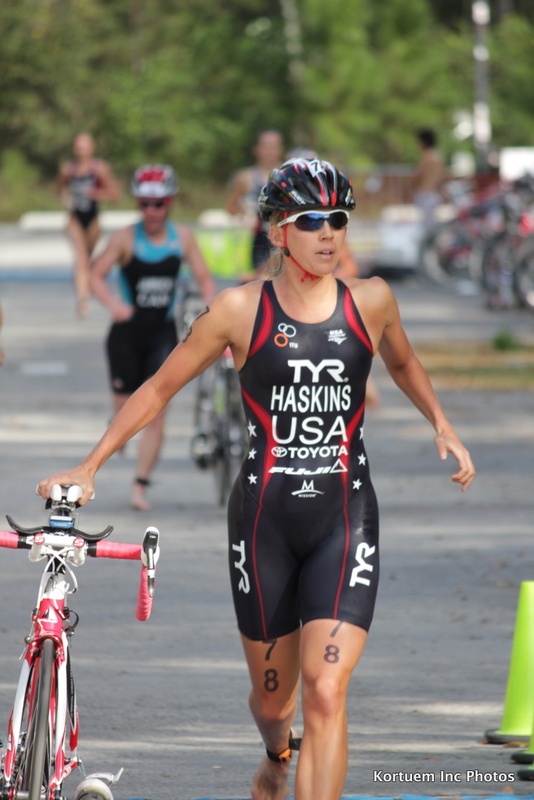 The race was at Lake Louisa State Park and only fifteen minutes from home! It feels odd racing from home, but it has some awesome perks; especially lack of travel! The women’s race was the final race of the day and begin roughly at 3:50pm. This was quite a late start compared to most of my races, but this was a good prep for the later start in San Diego. Normally I begin the day with training, but race morning I had roughly nine hours until race start. I enjoyed the very relaxed morning and did a two mile warm up run to get the body moving and some light stretching/activation. I headed to the race site at 1:15 pm, as that was the time to get driving access into the park before the men’s race began. Race day was the hottest day in Florida thus far for the 2012 year (88 degrees), not to mention sustained 20-30 mile per hour winds. This made for challenging race conditions, but I was excited for the challenge and ready to get out there and test my early season fitness. This year the water in Lake Louisa was extremely low. For this reason, we did not start the swim on the beach, but waded out 200 meters so that the water was knee deep. Despite still starting with water at knee deep, we still had a hundred meters or so of shallow water before we could begin swimming. Once the gun went off, I completed about 75meters of dolphin diving before I began swimming. I felt a little fatigue heading into the first buoy, swimming in third position. Once I made the turn to head back to shore, I was feeling better and moved up into second position. As we neared the swim exit, we did about 100meters of dolphin diving, into another 200 meters of running in the water followed by another 400meters of running to the transition area. Whew! This made for an adventurous swim! While dolphin diving, I lost a couple spots, but ended up exiting in fourth position. Once out on the bike, I wanted to push the effort and see where my fitness level was this early into the year. I also wanted to see how I felt running off a challenging bike. . 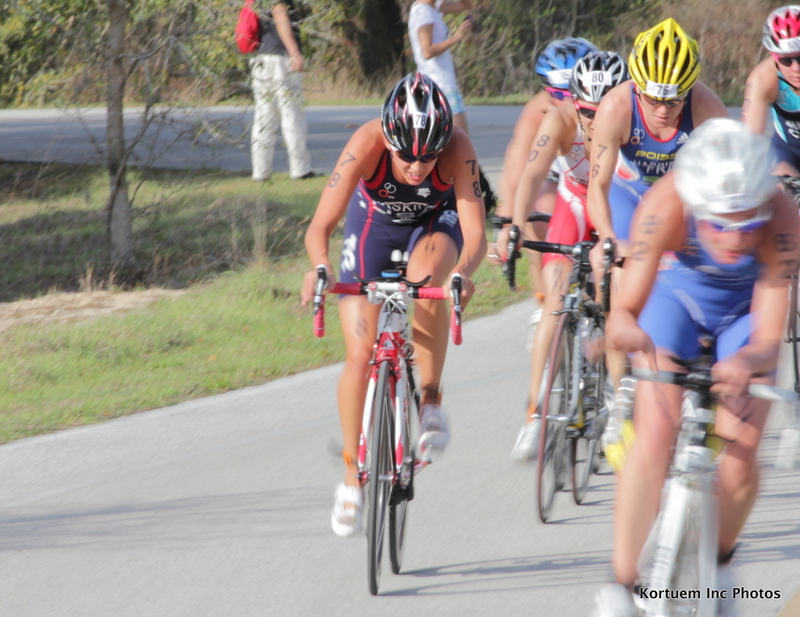 I pushed the first lap leading the pack and thereafter; the majority of the ride was pushed by Kerri Lang from Great Britain, Jessica Harrison from France and myself rotating at the front of the bike pack. Over the course of two laps, we were able build upon our lead from 10 seconds to 45 seconds. In a sprint race, every second counts! We exited the bike with just under a minute lead. 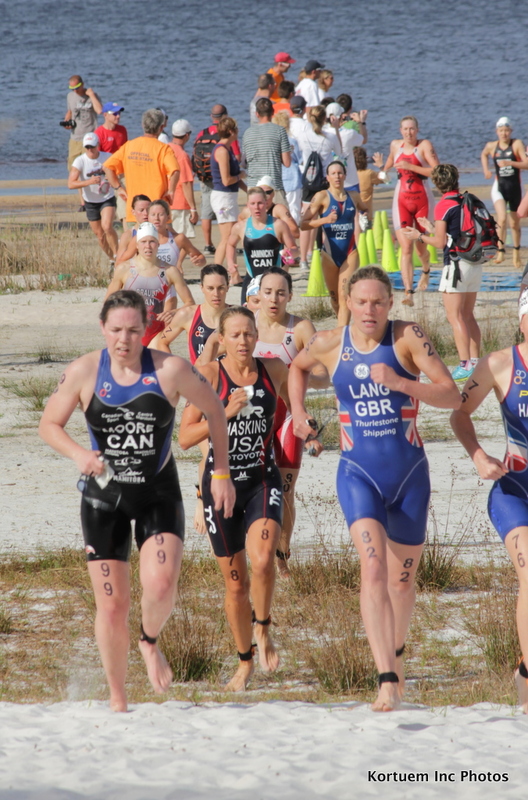 We started out with a lead pack of ten women and entered T2 with a pack of eight women. Here is my Quarq powerfile on the Training Peaks. My second transition was sub-par, but something I am always working on! I started off the run hard (with it only being a 5k, not too much to hold back!). At the 200meter mark into the run, I was leading a pack with two other women. The headwind was strong, but I did not want to let up on the pace since the second pack had some very talented runners. At the 3.5k mark, Kathy Tremblay took the lead. At the last 180 degree turn around, I lost contact with Kathy and was not able to make up that ground. I ran hard to the finish and right at the finish line Kelly Whitley, (USA), passed me. She had a great race and I am so proud of her. At the same time, it was a learning experience for me in that I need to run hard ALL the way through the finish line!!! Nate and I are pleased with my fitness at this point in the year, but know I still have a lot of work to accomplish in training and racing before May. My race performance overall was great, but I was little disappointed with a few mental and tactical errors made on race day. By the way, dolphin diving is a great forearm workout. Never new the muscles in my forearms could get so sore! I am looking forward to the season and excited for the many more races to come! Thank you to everyone for all the support.